Ny-trex is proud to offer the all new EFI 4, 6 and 8 cylinder dry nitrous system. Dry-Trex EFI Dry system is one of the easiest and most cost effective ways to improve the performance of late model EFI vehicles. 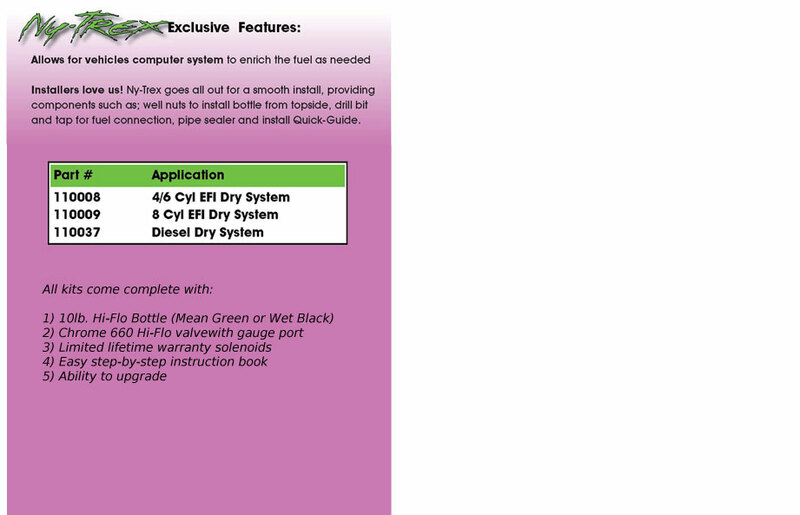 This system sprays nitrous only and allows the vehicles computer system to enrich the fuel as needed.